A BRAVE Kingsley Prep schoolgirl showed true friendship when she decided to shave her head after a friend developed Alopecia. 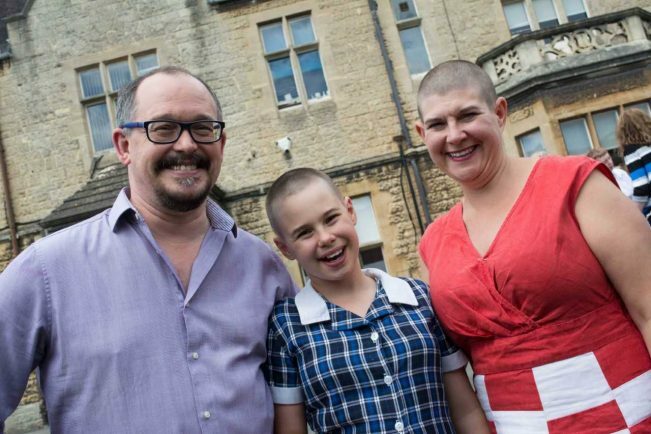 Ten year-old Sophie Heelis from Evesham decided to raise awareness of the common but widely misunderstood hair loss condition, by publicly shaving her head alongside her mum. So far they have raised £1300, which will be donated to Caring Hands in the Vale, which supports vulnerable people in the community, and the Perry Barr Retired Greyhound Trust. Sophie – who is a pupil at Kingsley Prepatory School – will also donate some of the money to a cancer charity in memory of her grandmother who died of the illness. The pair also donated their locks to The Little Princess Trust, which provides free wigs to children suffering hair loss.